We've took all the wedding photos (written in "our preparation part 1" ) but too bad it's still in the process of developing. 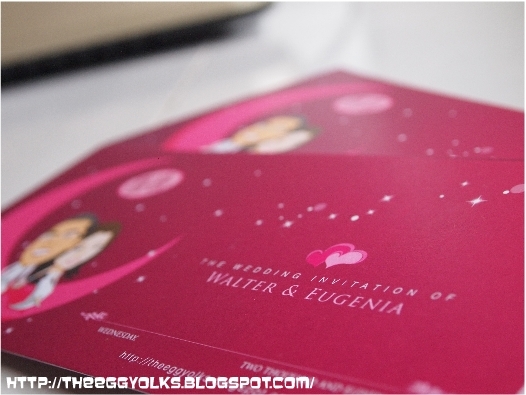 They (wedding studio) promised us that it'll be done before March. So just wait and see if they can keep their promise =_="
Just put that aside, we'll just prepare the other things first. 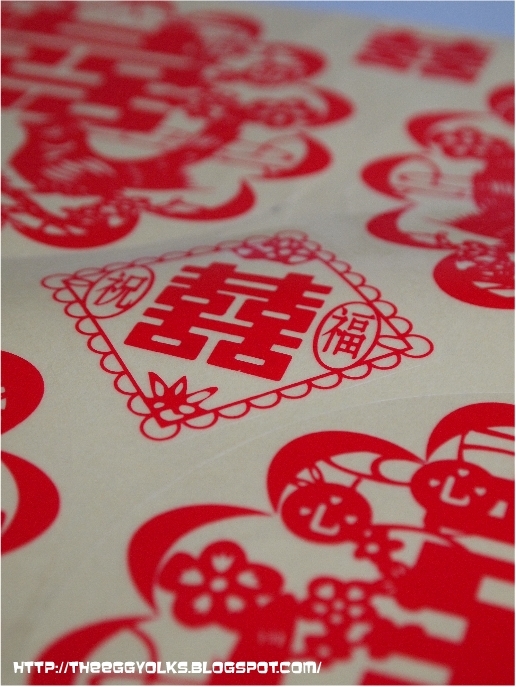 I believe most of you out there have went to those typical Chinese wedding right?Do you remember taking those little boxes of sweet or cakes? Something like a door gift? I bet you'll just throw away the boxes after finishing the tidbits inside right =_="
As for us, to make things more meaningful and memorable, Egg came out with an idea of making calendar! It'll be something nice for all the visitors and it's very practical too! 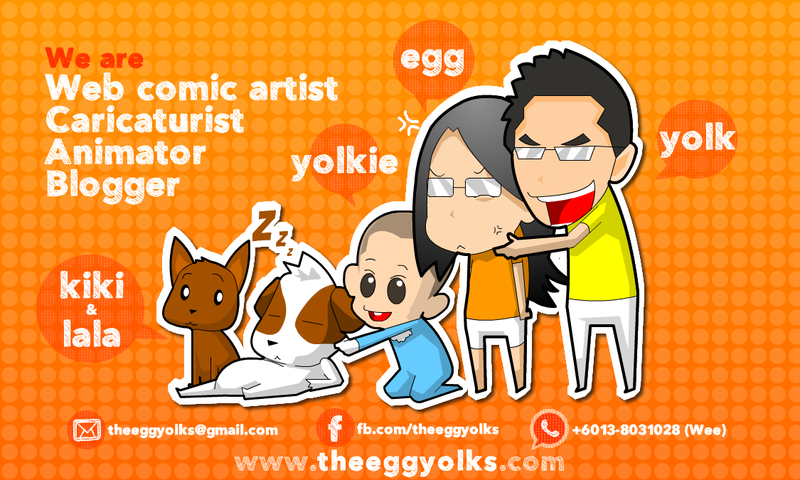 The size is as big as a normal name card so that they (visitors) can keep it inside their wallet through out the year! haha! 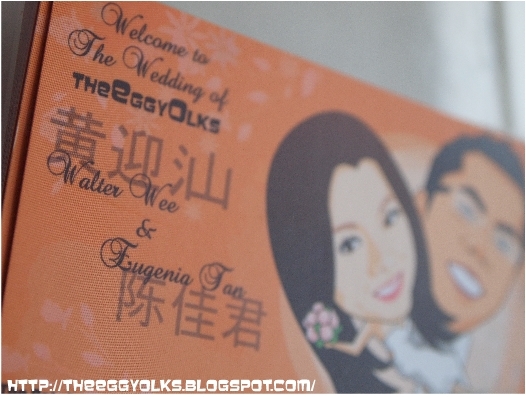 Just hope that they don't get bored of our face =_="
After getting the name cards printed, we moved on with the printing of wedding cards. 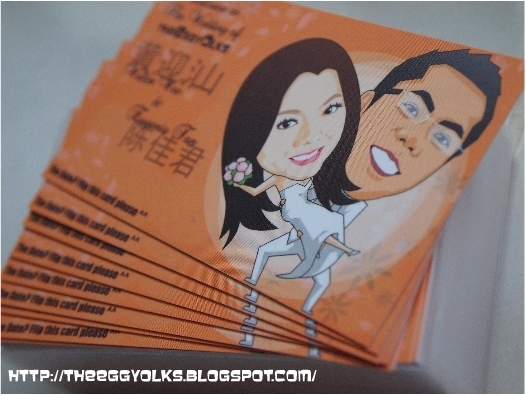 As usual, we custom made the card with our very own caricature! 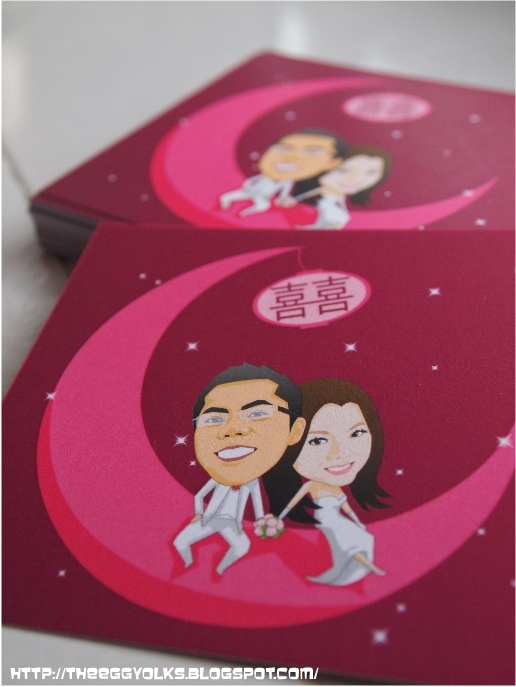 Other than these, we bought lots of stickers to stick all over the house during the actual day of our wedding! hehe! Ya! 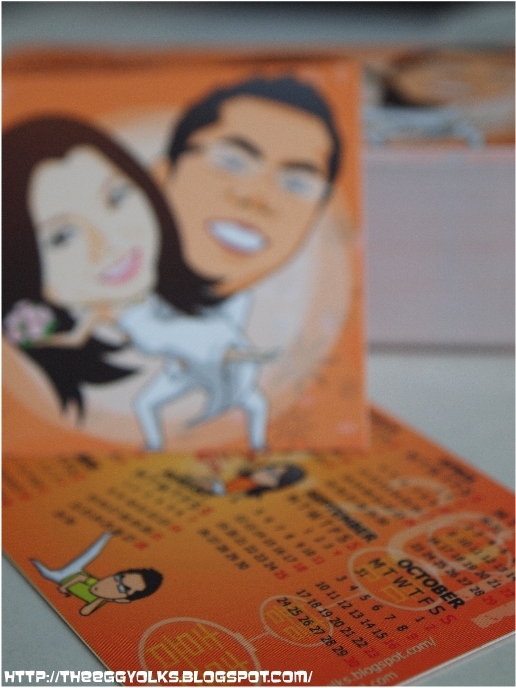 There's something which is important for newly weds. 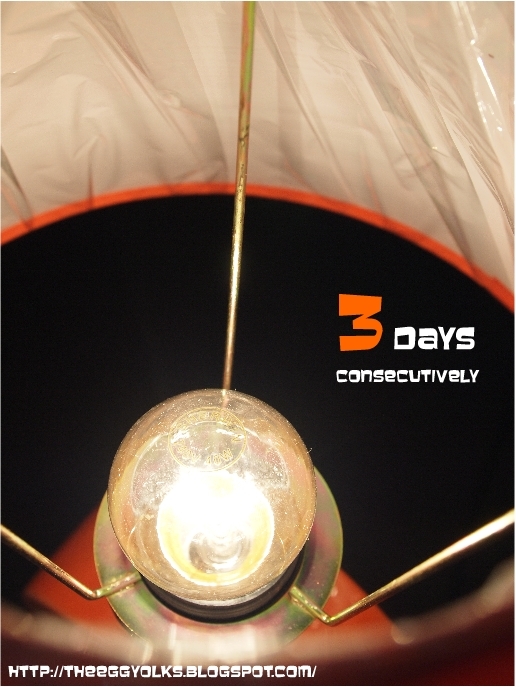 You must have your bed side lamp lit for 3 days consecutively! 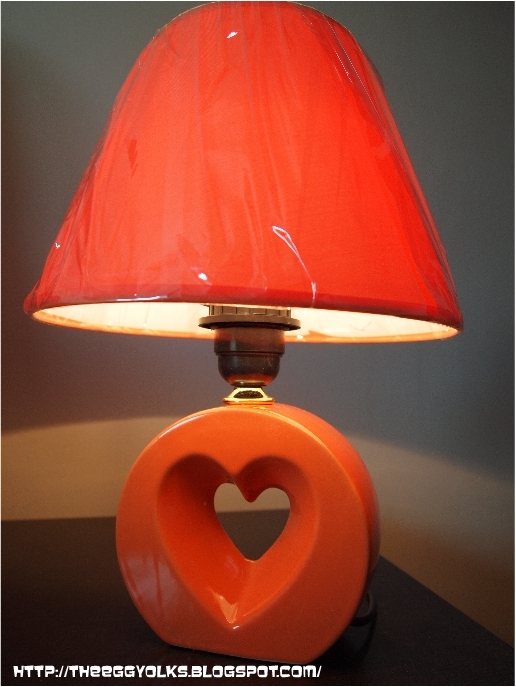 So we went to buy these lamps just for the sake of our wedding =_="
As for the brothers, we'll be printing the shirts too! 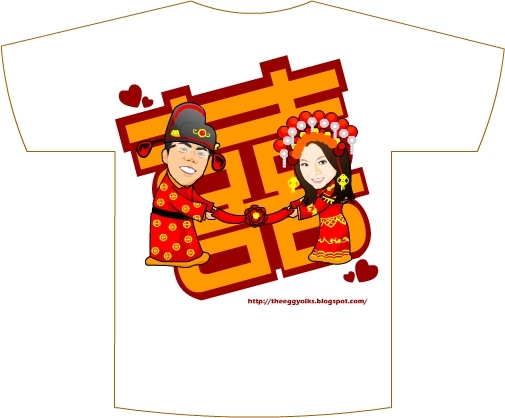 Since there's 9 of us, the shirt can be use for 8 times! LOL! 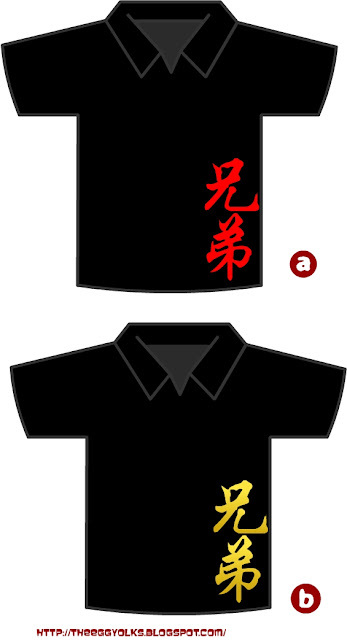 In fact, the brothers have yet to decide which version to wear. If you're my brothers, which will you choose? Well, that's it for the preparations this time. Stay tuned for our preparation part 3!